Armun is a one-day MUN conference organized by Rivers International School in collaboration with YOUCEE. The conference is for students between 15 and 19 years of age, originating from 6 European countries. 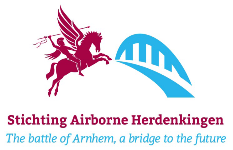 It is held in the vicinity of Arnhem/Oosterbeek in the Netherlands and is subsidized, among others, by the city of Arnhem, the municipalities of Renkum, Ede, and Overbetuwe, The Airborne March Foundation, the Poorters of Arnhem, Rabobank Development Fund, the Saint Nicolas Brotherhood Foundation, and the Airborne Commemoration Foundation. This is the opening video to the 2016 edition of the Armun conference. Click on the items below to open and download them.